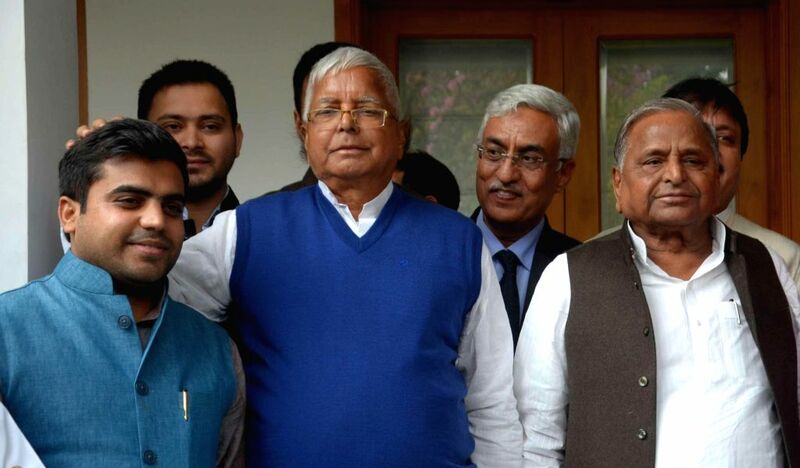 Lucknow: RJD president Lalu Prasad Yadav with SP chief Mulayam Singh Yadav and his grandson Tej Pratap Singh at the Mulayam Singh Yadav's residence in Lucknow to perform "shagun" ceremony ahead of Lalu Prasad Yadav's daughter Raj Lakshmi's wedding on Dec. 7, 2014. 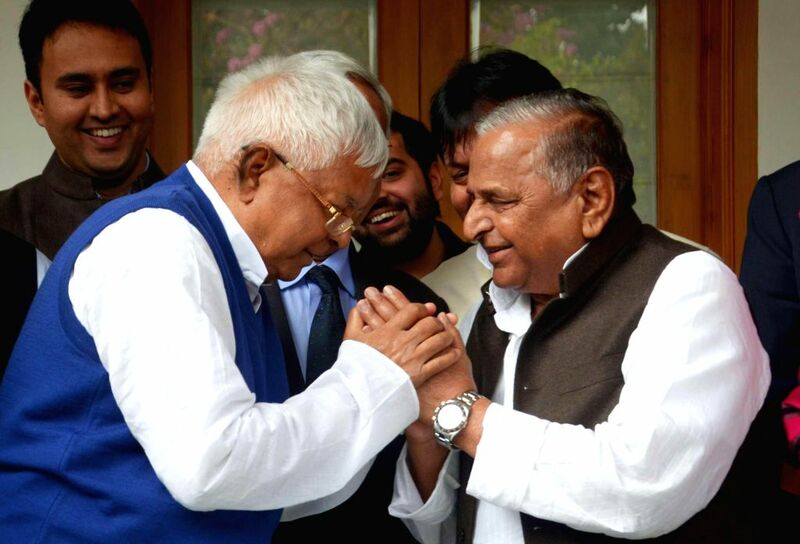 SP chief Mulayam Singh Yadav and RJD president Lalu Prasad Yadav at the Mulayam Singh Yadav's residence in Lucknow to perform `shagun` ceremony ahead of Lalu Prasad Yadav's daughter Raj Lakshmi's wedding on Dec. 7, 2014. Dimple Yadav, MP and wife of Uttar Pradesh Chief Minister Akhilesh Yadav at the Mulayam Singh Yadav's residence in Lucknow during the `shagun` ceremony ahead of Lalu Prasad Yadav's daughter Raj Lakshmi's wedding on Dec. 7, 2014.